Moscow, January 6, Interfax - Patriarch Kirill of Moscow and All Russia has appointed Orthodox publicist Alexander Shchipkov acting deputy head of the Synodal Department for Church, Society and Media Relations, the synodal department told Interfax-Religion. Shchipkov will be in charge of the issues of cooperation with bodies of state power and non-governmental organizations. Until recently, these tasks were in the sphere of responsibility of Archpriest Vsevolod Chaplin, who had managed the Synodal Department for Church and Society Relations for almost seven years, but was dismissed from this post by the decision taken by the Synod on December 24, 2015. Shchipkov was born on August 3, 1957 in Leningrad. 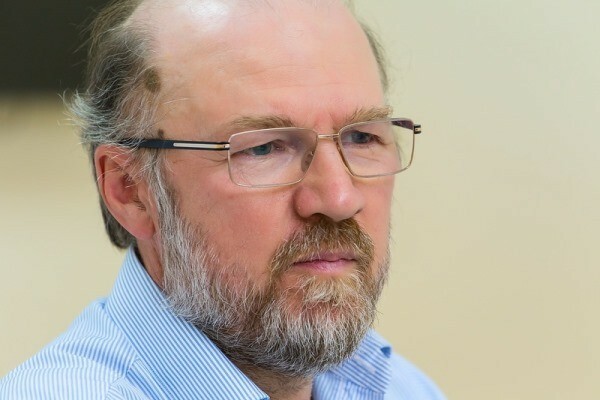 He is a sociologist of religion, political expert, specialist in the sphere of public and religious relations, Class 3 Active State Advisor, director of the Moscow Center of Social Studies, member of the Inter-Council Presence of the Russian Orthodox Church. He is an author of the books “What Russia Believes”, “Cathedral Courtyard”, “Christian Democracy in Russia”, “The Territory of the Church”, “The Religious Layer of Journalism”, “The Bronze Age in Russia. Outlook from Tarusa”. He is also an author of scientific monographs “Traditionalism, Liberalism and Neo-Nazism in the Current Political Space”, “National History as a Social Contract”, “Economic and Religious-Ethical Dialectics in the Establishment of Russian Social Traditionalism”. He is a compiler of philosophical collections “Fracture” (about the justice of tradition) and “Scaffold” (about Russian identity).